Home » Archive by category "Carrier/Wireless"
03 May Job Creation And Beating China: Political Rally Or A T-Mobile/Sprint Merger? Posted by Will Townsend in Carrier/Wireless , Followed with Comments Off on Job Creation And Beating China: Political Rally Or A T-Mobile/Sprint Merger? 06 Apr Who Will Win The U.S. 5G Race? Posted by Will Townsend in Carrier/Wireless , Followed with Comments Off on Who Will Win The U.S. 5G Race? 06 Mar Did Mobile World Congress Barcelona 2018 Deliver? Posted by Will Townsend in Carrier/Wireless , Followed with Comments Off on Did Mobile World Congress Barcelona 2018 Deliver? 20 Feb Can Mobile World Congress Barcelona Deliver A Better Wireless Future? 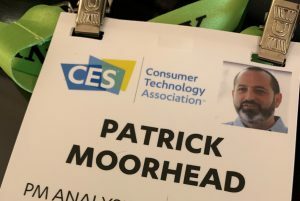 Posted by Will Townsend in Carrier/Wireless , Followed with Comments Off on Can Mobile World Congress Barcelona Deliver A Better Wireless Future? 15 Feb Does T-Mobile Have What It Takes To Attack The Enterprise? Posted by Will Townsend in Carrier/Wireless , Followed with Comments Off on Does T-Mobile Have What It Takes To Attack The Enterprise?